It has been 98-100 degrees this week here in my small part of the USA! Of course, I was doing my jury duty thing, so I wasn't outside much, but I didn't want to heat up the kitchen when I got home either. I would have been fine with salads in the evening, but my husband and grown son think they still need filling food! So, I pulled out my slow-cooker, bought about 4 pounds of beef round roast, put the meat in the cooker and let it cook for hours until it was tender. It didn't heat up the kitchen at all. This time, I somewhat based this recipe from one in Southern Living's "Secrets of the South's Best Barbecue" cookbook. I browned the roast, added spices and a tangy sauce and let the cooker do the rest! It resulted in tender and very tasty BQ sandwiches, which lasted several days! A perfect meal for busy days. In a dutch oven in hot oil, brown roast on all sides. Season well with spices of choice and place meat in slow-cooker. Add in the minced onion. Mix the sauce ingredients together and taste. Pour beef broth and sauce over the meat and cover and cook on low for 7-9 hours until the meat is tender and shreds easily with a fork. You may not need all of the liquid in the slow-cooker, so I removed the meat to a cutting board to shred and I also skimmed any fat from the sauce. Add desired amount of sauce to beef and serve on some nice sandwich rolls. Enjoy! Loving this - my family adores these and you do not need to heat up the kitchen. And just looks heavenly. 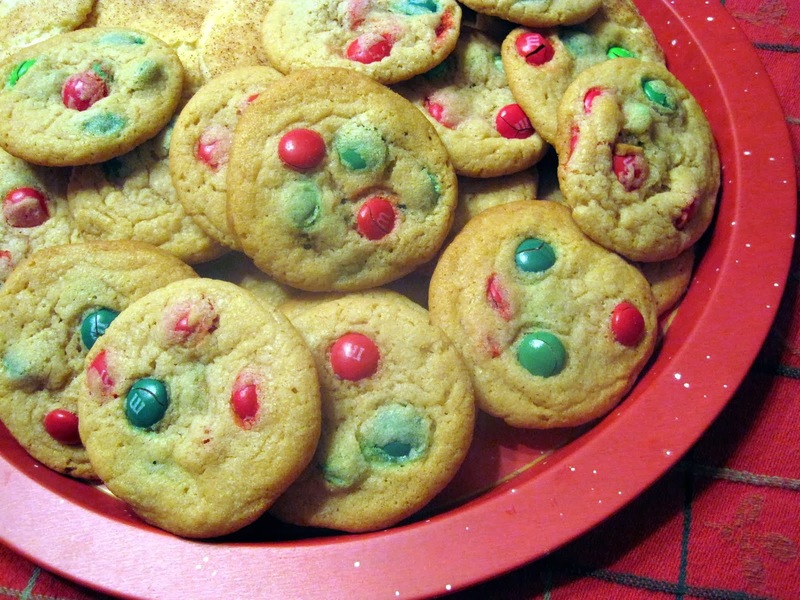 These look terrific. 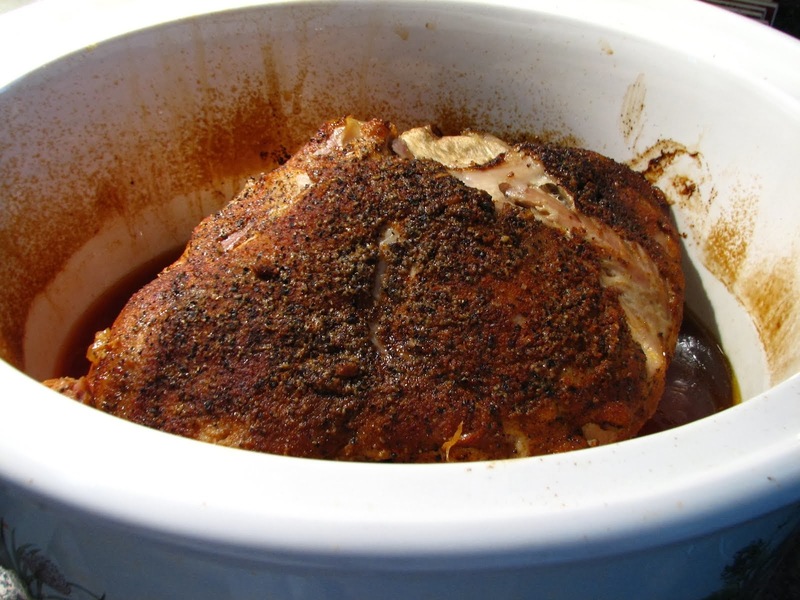 The crock-pot can be a lifesaver in warm weather. Thanks for sharing your recipe with us. I'm not much of a meat eater, but suddenly I just REALLY want to barbecue, haha. These are a great idea... and you've inspired me to make plans for some time this week! those sammiches would definitely fill a belly up, and one or two would be welcome in my tummy regardless of the heat. :) hooray for slow cookers! Lynda, these sound as if they would go over really great at a BBQ, picnic, outing of any sort, to say nothing of a terrific weeknight meal. Big YUM! That looks delicious. 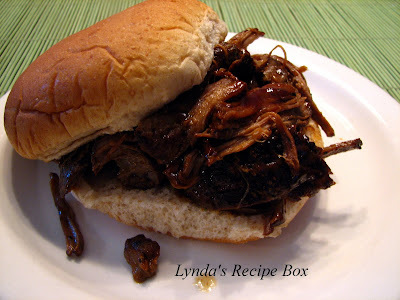 My husband loves BBQ and I think he would kill for this sandwich! These sarnies sound like a great solution, you still get all the BBQ flavor without sweating it. Good job! That looks soo good, we are drizzly and cool today so we are smoking a brisket! This looks perfect for summer. I especially love that it cooks in the crockpot and doesn't heat up the oven! Now this is a perfect summer meal. Your sandwich looks so savory and satisfying. 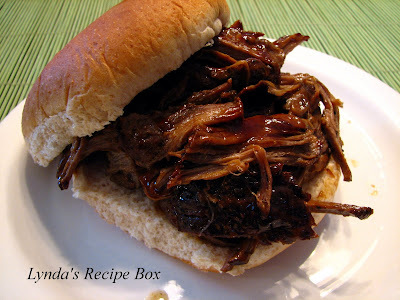 I am always looking for more slow cooker recipes! This looks like a keeper! Thank you for posting this recipe. I had lost my copy of it and had forgotten to bookmark and where i found.! Thank you again! You are so welcome. 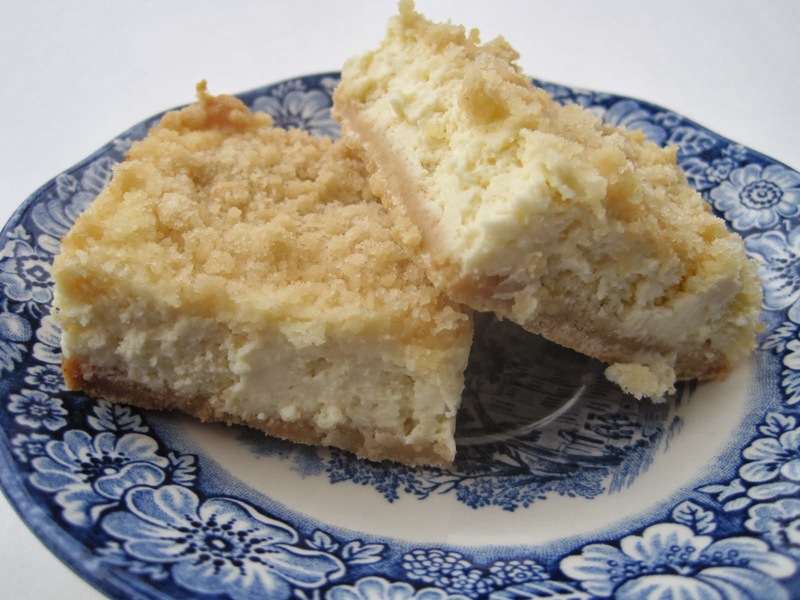 I'm glad I thought to include this recipe so you could find it again. Thank you for visiting!